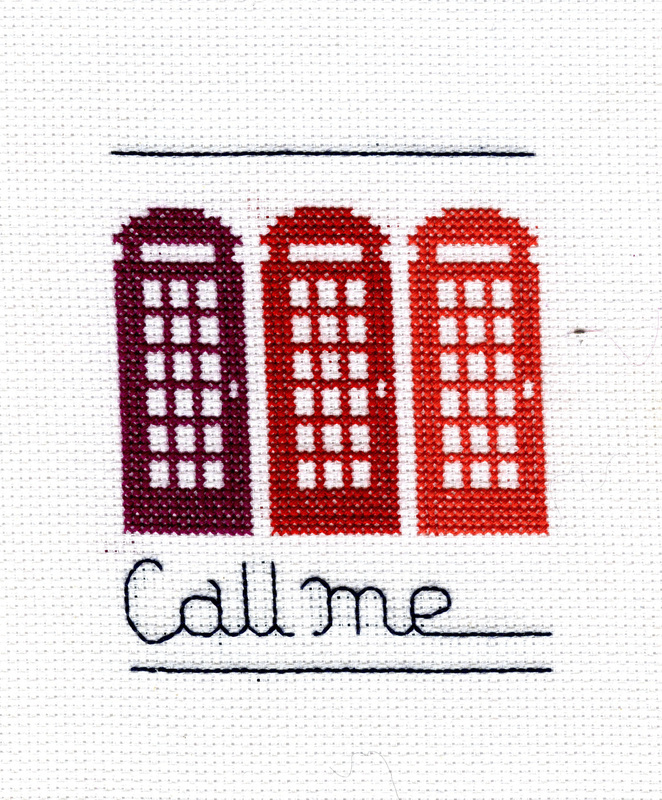 Cross Stitching just got funky with my ‘Call Me’ Red Phone Box design. This counted cross stitch kit contains everything you need to stitch my adorable red phone box design. The kit is elegantly simple so will be enjoyed by both newbie stitcher’s and old hands. The Red Phone Box is an iconic symbol of Britishness, recognized the world over and is celebrated in this design. The motif of the Phone box is repeated in three vibrant reds and finished off with black text. All the materials within your kit are of the highest quality, ensuring a beautiful, long lasting finish. An easy to read colour, counted cross stitch chart, designed by myself (one square represents one stitch). The finished design is a cute 12 cm x 9cm in size.